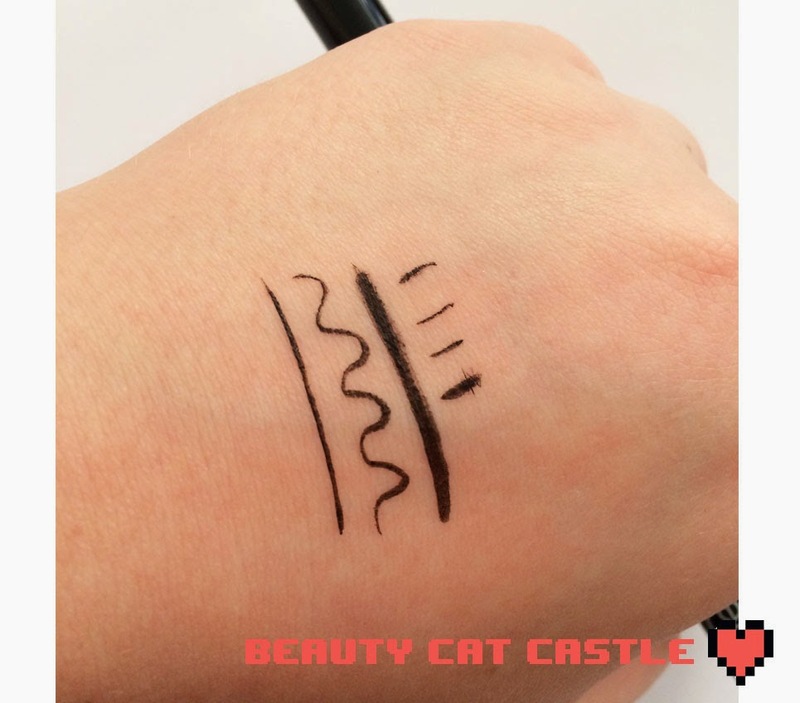 I recently finished up my Maybelline master precise liquid eyeliner and wanted to try something new in terms of eyeliner, I'm a big fan of the felt tip pen type as I just find it the easiest to use, largely due to the fact that it doesn't get gunky, it's easier to control the line weight and if you do mess up it's easier to fix up. So since I didn't seem to have many options I had not tried before (my fav is the Physician's Formula booster one) I decided to check out the NYX counter and ended up picking this one. 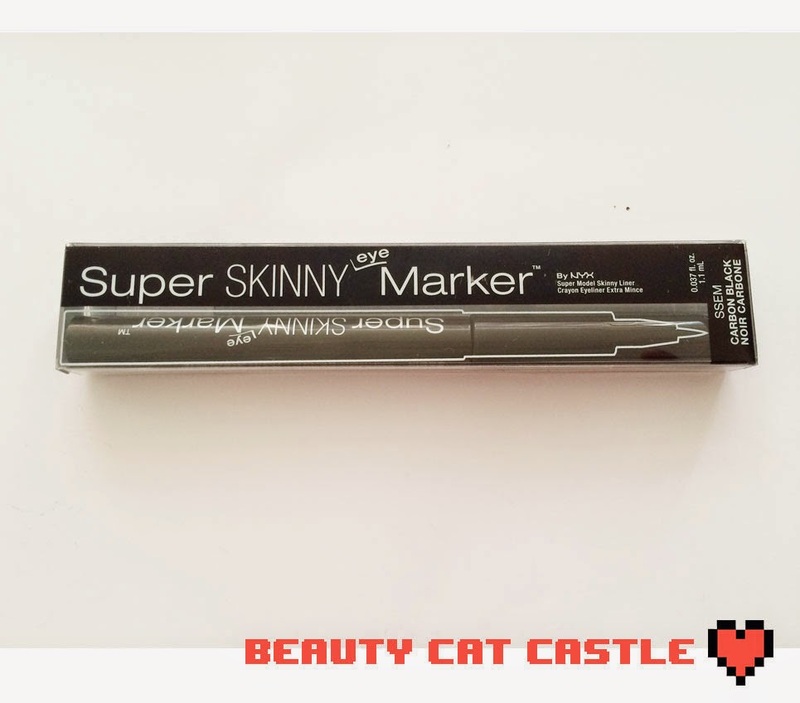 The NYX super skinny maker looks pretty good, it very much looks like a felt tip marker and has a nice thin tip, the ink flows very smoothly without problem and there is a great deal of variation you can do in terms of line weight as you can see below. The biggest problem I had with this, which is my own fault for not clearly reading the packaging, is that this is not waterproof at all, as such it is smudgy as hell. Touching it at all will cause it to smudge, even excess heat will do it, it just seems to want to come off and Panda eyes are a constant concern. On the upside even a little bit of water will get this off, no need for any oil based make up remover, possibly looking at it funny m might be enough to get this stuff off. 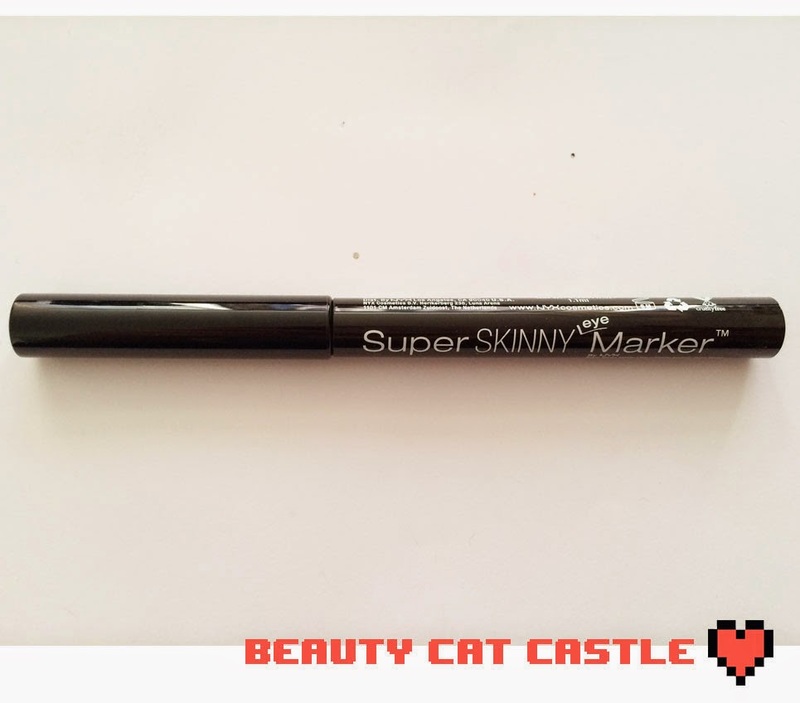 This is a fine marker if your just trying out felt liners as it's sturdy and has good ink flow, the tip could stand to be a tad longer but it's stiff enough that it's not a huge issue. If you aren't concerned about smudging or only need to wear it for a short time, or hate removing eye makeup then this is fine, but otherwise steer clear. That's disappointing to hear it's not long-lasting :( Since I have oily eyelids and watery eyes I don't really understand the point of felt-tip eyeliners that aren't waterproof!